To each his own! Why tear each other down when we each have our own personal beliefs that make us feel strong and secure at heart? Religion should bring peace to us and to the world. It is a safe haven we can each escape to when needed, whether that is Hinduism, Islamism, Catholicism, Buddhism; anything you believe in. Religious differences don’t have to bring people into conflict over who is superior, because none of us are. No religion is better than the other. And no religion gives you certain entitlement to belittle others of different faiths. While each person will always be biased toward their own religion, tearing down someone else’s beliefs only because they don’t match yours doesn’t make your beliefs any more correct. A solution to this may be to think of these words, “to each his own.” In this context, each person has their own religion. Let them have it. Of course, state what you believe in and show pride, but do so tastefully. Don’t offend others when proclaiming your beliefs. Don’t be hypocritical, either. Whether you’re religious or not, you should be able to celebrate your beliefs without fear of being judged. The world doesn’t revolve around you or anyone else. We’re all different, and there’s no reason that these differences should get in the way of us all being happy. At the end of the day, we should respect each others’ beliefs so we can live together in a peaceful society, filled with a diversity of religious beliefs. I stumbled upon this Pakistani video on youtube vilifying its cricketers for not knowing How many Rakats are there in Isha ki Namaz. This is how media tricks the minds of the people and pollutes it. Whether someone observes 4 Rakhts out of 17 or 2 out of 9 Navratri it is his/her call why ostracise people based on their belief? The beautiful article published in Greater Kashmir written by a Kashmiri named Imtiyaz Assad talks about how not to be judgemental about how one practices his/her religion and preaches peaceful coexistence, thoughts which I concur with. Sharing the same for all the peace-loving readers, hoping it reaches all those who haven’t understood it correctly yet. Things will not change until we change! 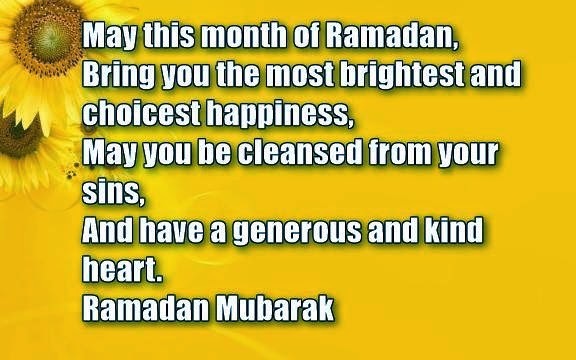 The holy month of Ramadan is here with us with limitless grace and bounties. Going by the injunctions of Holy Scripture, in this month, it is incumbent upon Muslims to fast, but together with abstention from food and drink, there are many things that ought to be avoided in order to reap the monumental harvest of rewards. You rigorously observe fast, so far so good, but when you take a moral high ground and start slapping verdicts upon those who don’t fast for one reason or the other, the problem rears its ugly head. You keep fast, you fast the entire month with unwavering devotion and that merits plaudits in abundance, but why should you in a sheer fit of self-righteousness put on the cloak of a self-proclaimed Mufti and declare anybody a Kaafir if he/she doesn’t fast? What drives you to such an outrageously fatuous conclusion? When these people inquire from you: Are you on fast? And you – to at least steer clear of committing the cardinal sin of lying – candidly reply in the negative. The moment you say `no’, you are flooded with statements “God will never pardon you and you ought to be consigned to the abysmal depths of hell; you are such a robust and sturdy man, why do you desist from observing fast? What kind of affliction are you grappling with, that hinders you from fasting? You are the scum of the earth; don’t churn out explanations; your sheer effrontery to flout the divine commands exceeds in magnitude than that of Kaafir; you should shed the skin of your inherited faith and wear the apparel of some other religion. If Kashmir ever comes beneath the ominous fog of calamities, it is because of sinners of your breed. You should be ostracised or else society as a whole will be stained with the burgeoning filth of impiety that you harbor inside, etc”. Well, if a person is, by outward appearances, hale and hearty, does it entitle him to the glorious epithet of a healthy human being? Is there only flesh in our body which constitutes our entire being? Must our ailments (physical or psychological) be conspicuously palpable on our faces? What spurs you into brazenly asserting that those who don’t fast deserve no benign breeze of divine grace? Are you God’s advocates on earth? Has He entrusted you with the ‘sacred’ duty of doling out ‘fatwas’? What makes you assume that you are more pious than the remaining lot? Is being judgemental the very pivot around which your unassailable version of Islam revolves? Who are you to decide their fate in the hereafter? Have you delved into the nethermost depths of their soul that you can fathom their intentions? Or is it that you are laced with special powers to grab hold of such a perennially elusive thing? Basti mein humain bhi rehne dou.